Sharp increase in IDF soldiers ending their own lives not due to Gaza operation, Manpower Division chief insists. 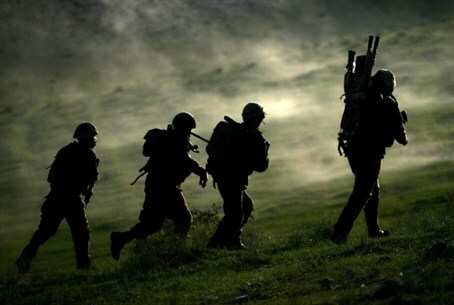 Suicides in the IDF have doubled in 2014, according to statistics released by the IDF Manpower Division late Thursday. Fifteen soldiers killed themselves during their IDF service over the past year, it said - more than double the seven suicides in 2013. "This year, 105 soldiers were killed for various reasons - both in action and civilian operations," Manpower Division Chief of Staff Gen. Gadi Agmon stated in the report. "Fifteen of them were deemed suicides." "This year there has been an increase in cases of suspected suicide," he continued, noting that cases are analyzed individually. For every suspected suicide, he said, there is a police investigation, a commission of inquiry headed by the commanders from each unit, and a Manpower Division inquiry. Suicides in the IDF reached a high five years ago, with 30 suspected suicides in 2009. Since then, however, there has been a marked decline - until now. According to Agmon, the IDF has carried out a number of actions to lower the suicide rate, including reducing access to weapons, and running workshops to help soldiers spot signs of depression and anxiety. "We have reduced the number of weapons per unit, but we must remember that there are other [factors], as in incidents of hanging and jumping from tall buildings," he said. "I call on the Civilian Advisory Committee, which examines suicide cases in general among teenagers and adolescents, to consider more options [for working against suicide] over the next few weeks." Agmon added that according to his assessment there was no link between the suicides and Operation Protective Edge over the summer. Earlier Thursday, an indictment was filed in military court against a captain and a staff sergeant who allegedly beat an IDF soldier in military prison so badly he attempted suicide - then beat him again. Both are being charged with aggravated abuse.